SKMR-126 . Vladimir Markov "Out of time. Russian jew’s harp music"
Nowadays jew's harp is preserved in a traditional music of a few dozen ethnic groups. Most of traditions have a strong melodic line, e.g., Guzul, Kyrgyz, Norwegian, Bashkir, Estonian, Tuvinian and so on. But there are also traditions with other features, e.g., Yakutian, which is focused on onomatopoeia and timbre, and Indian with principally rhythmical compositions. Vladimir Markov a musician from Irkutsk, Russia for the first time played vargan (the Russian name of jew’s harp) in 1996, but began to delve into it in 2008. He started this project about 5 years ago. As he learned to play melodies of different cultures he went further and decided to make a close look into what makes music sound authentic. So he started to research national style of Russian jew's harp sound. 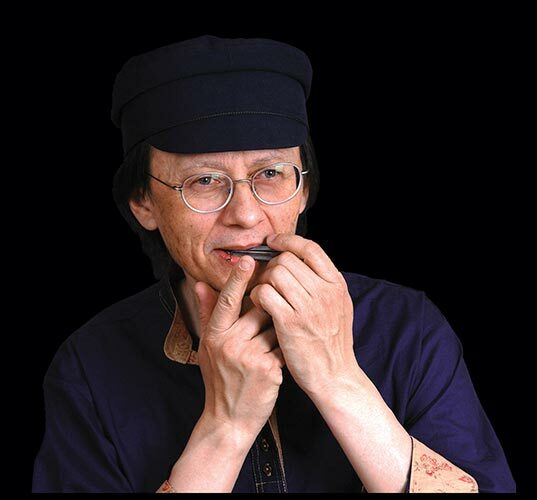 The search of national authentic style and desire to play "as Russian" leaded him to a necessity to play Russian folk music, the way national music is played on jew's harp in other traditions, e.g., Norwegian, Guzul, Estonian and others. In all traditions you may find folk tunes adopted for jew's harp. For example, in Norway they play on munnharpa (a Norwegian jew's harp) many tunes that originally are performed on langeleik and hardingfele. All jew's harp tunes from this album present an author's view to Russian jew's harp style, but it should be noticed that all of them are based on Russian folk music and adopted for jew's harp by Vladimir Markov. At the moment in Russia jew's harp is going through a real renaissance at the moment: many craftsman create high class instruments, many people are attracted by the issue, and also we have some very good players. Russian jew's harp music is also played by a duo of Irina Bogatyreva and Vladimir Markov. Some years ago Irina joined Vladimir in creation of Russian jews' harp style and repertoire. Together musicians also work at making polyphonic tunes and play jew's harp with other Russian folk instruments.